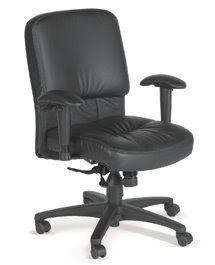 For more than 30 years, ChairWorks has been a worldwide leader in supplying innovative recliners and office chairs for the home and business markets. Worldwide manufacturing of ChairWorks products takes place in a 1.8-2.0 million square-foot facility in Asia that rivals European or North American competitors. Through precise control of each facet of production they insure that every component meets the highest possible quality standards. For fast service and delivery around the globe, they maintain strategic sales centers in the United States, Taiwan and China. ChairWorks is currently selling and distributing to major markets throughout the world. All ChairWorks products meet GREENGUARD Certification Standards for Low-Emitting Products. The GREENGUARD Environmental Institute is an industry-independent, nonprofit organization that has established performance based standards to define goods with low chemical and particle emissions for use indoors, including seating products. The standard establishes certification procedures including test methods, allowable emissions levels, product sample collection and handling, testing type and frequency, and program application processes and acceptance.